Elaine Marshall takes clients to new heights of exposure by getting them in front of leading media outlets and journalists to tell their unique, intriguing stories. This article originally appeared in California Business Journal. Christmas in June? It exists in Elaine Marshall’s world. For 27 years, including the last 12 as head of Empowered Public Relations in Long Beach, Marshall has taken clients to increasing heights of exposure by getting them in front of various media outlets and journalists and telling their stories. “I love that I can listen to someone tell me all the ways they love their product, and get it into one or two pages and then pitch to journalists,” she says. It hasn’t mattered if the client is a person or a business. 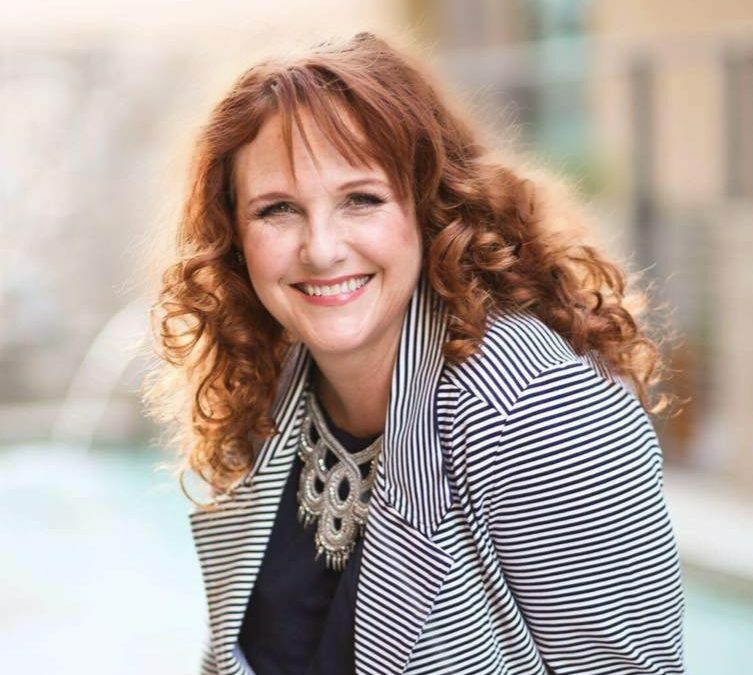 She recently helped connect a sports psychologist to an Orange County Register reporter who was writing about teen suicide among young athletes, resulting in her client being quoted as an expert across a three-part series. And in just two weeks since taking on Hawaiian Shaved Ice as a corporate client, she got the product placed into various summer party and gift guides. She has previously developed and executed campaigns for Apple, Texas Instruments, and Toshiba, and has placed clients in front of The New York Times, CNN, Time, The Today Show, Associated Press, Los Angeles Times, Fortune, Forbes and Barron’s. She writes articles and blogs, analyzes industry trends, and does media relations, social media management and strategy, product launches and collateral marketing materials. Her success continues at a time when social media has exploded and changed the way people now do public relations. When she started, she worked on an Apple Macintosh, and there was no email. Instead, she remembers putting post-it notes on desks and leaving documents on chairs. Now, social media is like an ever-widening spider web that seemingly reaches everybody. Statista reported in 2017 that the top 18 sites have between 175 million and two billion users. According to Marketing Week, social media has shortened the news cycle, causing journalists to have to deliver stories faster, and this has had an effect on PR professionals. Many believe social media has led to an increase in productivity – and more work. It takes time to go through all those various sites, including Facebook, LinkedIn, Twitter, Pinterest, Snapchat and Google+. Additionally, as publications and organizations cut staff, there are fewer journalists to accept pitches. According to the U.S. Bureau of Labor Statistics, there are now nearly five PR professionals for every staff reporter. As she always has, Marshall continues to create target lists of journalists who might be receptive to her client, and then she reaches out to those reporters and crafts stories with them, often offering images or product samples. Social media comes into play in the form of looking at recent stories the journalists wrote and the beats they cover to find how a client could fit; examining keywords in the stories, and surfing various sites for networking purposes. On LinkedIn, she always includes a note informing why she wants to connect with a person, and later she’ll make sure she actually talks to that person. But it always comes back to the pitch, and she still makes sure the old-school questions – how is this person/product/service different and who cares most about it? – are answered creatively. “It has to be the right pitch, different yet specific,” she said. In her earlier days, when she worked in smaller markets, such as Santa Barbara, it was rewarding for her to pitch a story and see it on the evening news. She always loved writing and the English language but knew she didn’t want to be a teacher.